NOT designed for the RS-UV3A, new version will be available soon. 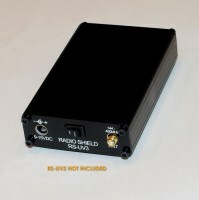 The RS-UV3 Enclosure kit has everything you need to fully enclose your RS-UV3 Radio Shield in a professional case. The extruded aluminum case and professionally silk screened end panels provide a nice finished look and excellent protection for your RS-UV3. NOTE: The enclosure is designed to fit RS-UV3 REV C or newer. 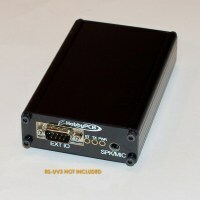 The RS-UV3 REV B model will fit, but it will be slightly loose and it does not include LEDs.